6/12/18/24 volt heavy duty commercial fleet charger. 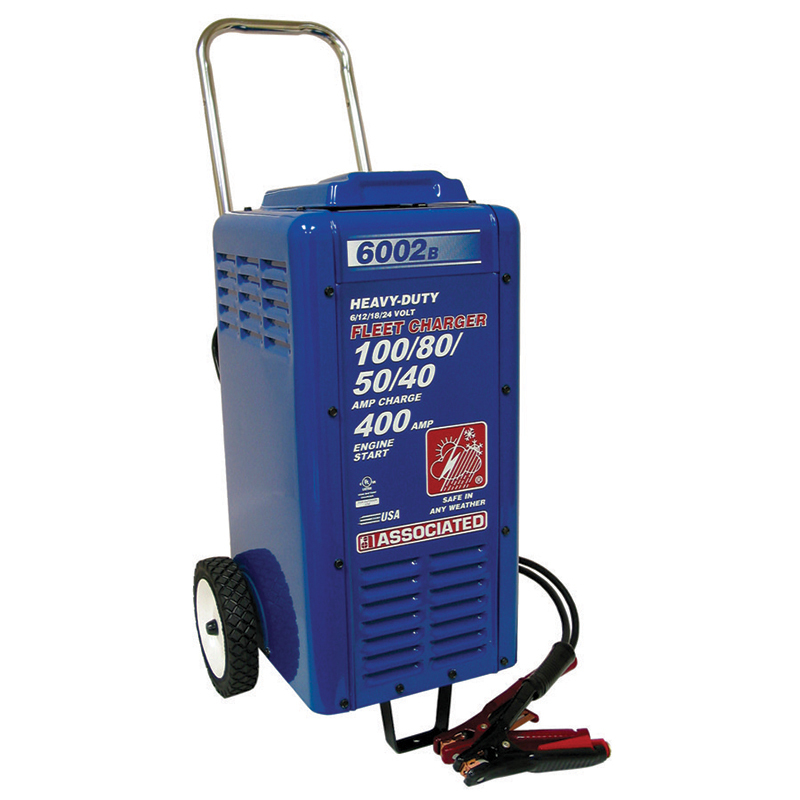 Rated up to 80 amp continuous charge with 400 amp crank assist at 12 volts. Heavy duty vacuum impregnated transformer. Patented "Sun'Sil" multi-diode rectifiers. Heavy duty chrome plated handle. Fan cooling prevents overheating. 500 amp fully insulated "Flexi-spring" clamps. 7" tires. Automatic reset AC and DC circuit breakers. Automatic timer. 70lb ship weight. * Made in the USA.